The Witchery by the Castle has developed a world-wide reputation for its exceptional dining experience, showcasing the very best of Scotland's produce in the most magical of settings. Now in its fourth decade, the Witchery is a Scottish dining landmark, much loved by loyal locals, its celebrity fans and visitors to the city alike. 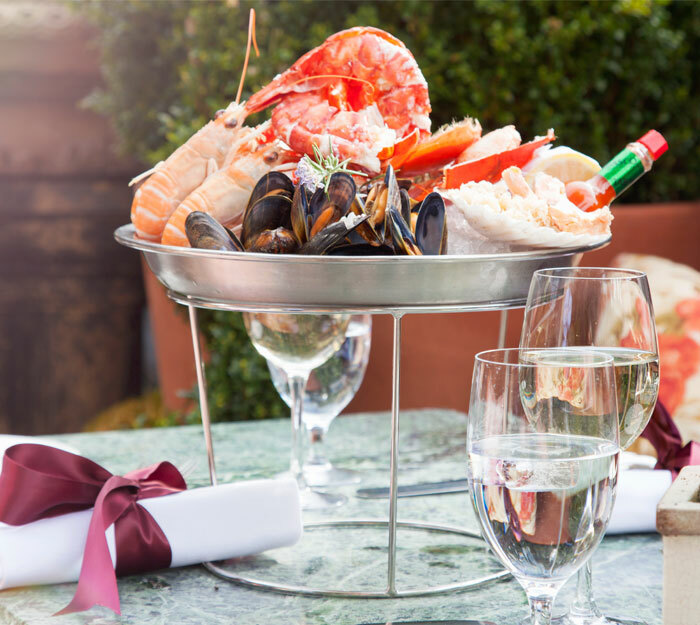 Alongside the Scottish seafood, beef, lamb and game you'd expect to find, you'll also see the Witchery's legendary Angus beef steak tartare, briny-fresh seafood platters, wild game and even some haggis featuring on the menu. The Witchery is open seven days from 12 noon until 11.30pm (last reservation) for Lunch and Dinner. Our renowned a la carte menu at Lunch and Dinner daily. Our famous 3 courses for £40 menu available all day, every day. Children are welcome for lunch and early evening, though we don't have a separate children's menu or high chairs. We regret it is not practical to allow buggies or prams in the dining rooms. We ask that under 8s leave the dining rooms by 8pm. We regret that the character of our historic, listed buildings means they are not wheelchair accessible. Most areas are accessed via original stairs with four steps to the original Witchery (and a further four to the lavatories) and fourteen stone stairs into The Secret Garden.